GoFlash, software designed especially for your hair and beauty salon management. 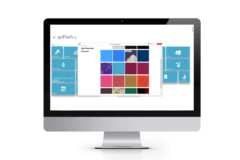 GoFlash allows to manage your salon easily. It helps hair and beauty salons owners maximise their revenue, thanks to a clear analysis of employees performance and also sale of services. NewTechnology sas has gained a long-standing experience. The CEO, Cristiano Boschi, has been operating in the field of hairstylists for more than 25 years. The company boasts established partnerships with clients and with specific groups of this sector. GoFlash has been growing steadily until it has become one of the most influential and useful software in Italy. 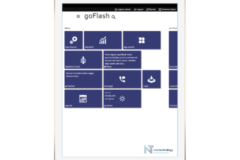 GoFlash is a complete management software able to satisfy from the most common need, such as customers management, until to the most advanced one, such as data sharing on mobile devices. In the last few years, GoFlash became a perfect and custom-made solution, thanks also to the use of innovative technology. Sign up free 30 day trial, fill out the form and login with your account. By creating an account, you agree with terms of service in accordance with the privacy law 196/2003. WHY DO YOU CHOOSE US FOR YOUR SALON? Training course,customer support, marketing and advertising activities. Our main objective is to grow your business with an efficient software. Manage your salon with all web options, access all the features anywhere and anytime. GoFlash NX is suitable for your needs! Make your experience unique choosing themes, colours of icons, functions and operations. GoFlash is compatible with different operating systems: Windows, Linux and Macintosh. The software displays in any device, so you can access from your computer, tablet or smartphone wherever you are. You have the possibility, through apps, to manage your social networks, keep up with all news, verify weather forecast and much more! Every GoFlash feature was designed in close contact with professional hairstylists. GoFlash software supervises your work performance with powerful and effective statistics. Thanks to your data, you can increase your turnover. Clients/suppliers archive; products/services archive; services setup management; discount. Simple and complete warehouse management; register of bills/supplier invoices and unloaded consumed materials in the salon, products order, supplier order, warehouse inventory, warehouse estimate and other statistics (for example: How many products I have consumed in the salon in January?). Barcode management; Application of barcode reader. Clients fiches loading is efficient and simple. "Salon clients" management saves time. Payments management to get a periodic report, for example the list of transactions of your debit card. Application of mobile app on smartphones and tablets. GoFlash schedule has a smart interface that allows you to manage appointments booking. Drag and Drop rescheduling. Personalize your display of GoFlash (colours and icons). The app Go calendar is available on tablets and smartphones. Several statistics track and verify your trend. The results of statistics analysis are detailed employees performance and completed analyzed data. send SMS/EMAIL MESSAGE, automatically offers, birthday greetings and promotions to clients. Clients subscriptions management (ex. solarium); money: incomes and expenses management; check of payments deadlines; Secure Access: protect your account; possibility to access with a custom-made account; employee report; Network management: GoFlash can be installed on more than one computer and share the same storage (it is required a computer network). "Your customer support is efficient and unique... I am very comfortable to interact with your team. YOU ARE THE BEST!" "Your software is great and make a difference in the salon! Your staff are friendly and available, I love them!" "I have been working with GoFlash for 10 years and I have never been disappointed. Your team take care of any salon needs." "Thanks to your daily support, thanks to learn us how to use GoFlash, thanks to transform our passion and work into a well-established reality." "GoFlash is suitable for our profession. 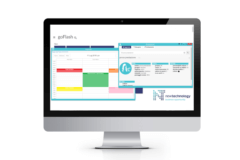 We can find in GoFlash all we need: efficiency, management, ease and scheduling. Your staff are professional and very nice. Online courses are very useful and I have the possibility to review them. That's amazing! Congrats!" "Go Flash supervises your salon! You can relax with GoFlash... GoFlash represents your company idea." After several years with GoFlash, it has become a fundamental part of our work. Your staff are great, helpful and very patient. Thanks to teach us how to become a little businessmen. I have been using GoFlash since it was projected and I can't work without it! GoFlash is essential in my salon management! I am completely lost without GoFlash. The company pays so much attention to the client satisfaction. Thanks Cristiano, thanks Elisabetta, hurray GoFlash!" Why have you not installed GoFlash yet? Download the hair and beauty salon software! Are you a GoFlash client?